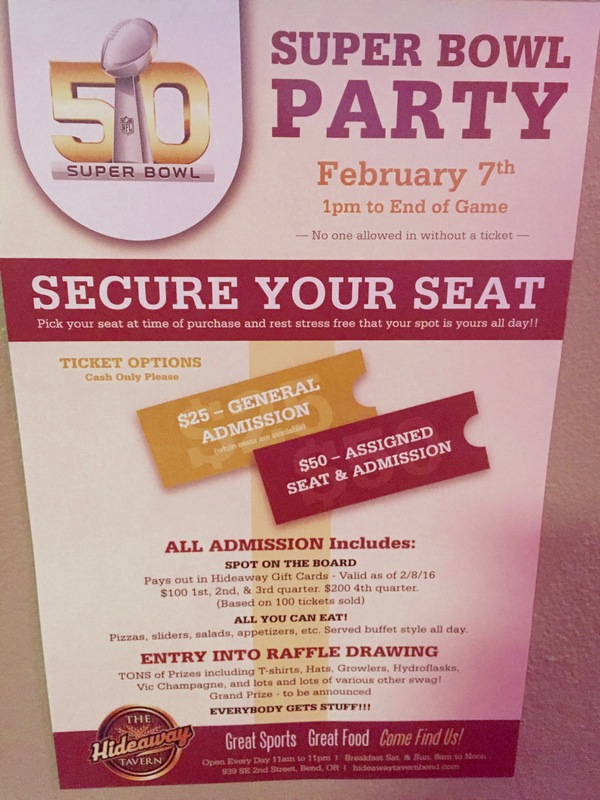 Secure your seat and rest stress-free that it will remain your spot all day at The Hideaway Superbowl Party. No worries someone might snag your seat while you run to the restroom, so that spot in front of our big screens remains yours from 1pm until the show's over. ENTRY INTO RAFFLE for T-shirts, hats, growlers, champagne and a GRAND PRIZE (tbd). 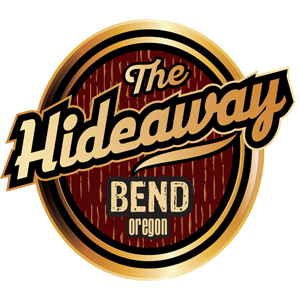 Everyone wins at The Hideaway! Party starts at 1pm!